Kirsten has a worked with people of all ages, in many different capacities and settings. 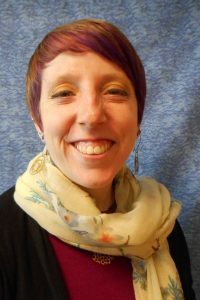 After college, she used her psychology degree to work with children in crisis at Albertina Kerr Centers, as well as support adults with developmental disabilities at a small Portland non-profit called Community Vision, Inc. She moved abroad to try her hand at teaching, first in South Korea, then in Japan. Before coming to Care Partners, Kirsten worked as a full-time volunteer in Bolivia, counseling young girls who have survived sexual abuse, doing companionship with women in prison, and also working with the non-profit “Manos Con Libertad,” which supports women transitioning out of prison. As the Clinical Liaison for Care Partners, Kirsten follows her passion for community education, outreach, and advocacy. The not-for-profit ethics and mission of Care Partners is aligned with her deepest personal values, namely that the human family, deeply connected, has a responsibility to serve and support one another. Changing health care for the better. In 1982, five women came together to start a hospice in Hillsboro, Oregon, as they saw a need to improve end of life care in the community. Today, our board of directors, leaders, staff, and volunteers continue to carry out that vision, making more and higher-quality end of life care available to Portland Metro Area clients and their families. We partner with community members to introduce innovative care models that enhance value, outcomes, service, and provider satisfaction. Your Partner in SERIOUS ILLNESS CARE. Seriously ill individuals in the Portland Area have many hospices to choose from. As one of the only not-for-profit hospices in the area, Care Partners is a top tier provider of both hospice and home-based palliative care services with over 34 years’ experience.